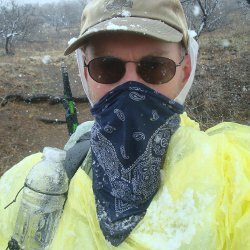 Going to Philmont this summer? Congratulations! Your final payment to Philmont is due in less than a month. In just a few weeks, your crew will need to submit trek choices. Of the 35 various treks available, you'll need to decide on your top 5 and hope you get the one you want. Treks are numbered 1 through 35 with 35 being the longest in miles and most strenuous. All treks are long enough to qualify for the 50-Miler award and most offer plenty of program fun - there is no bad trek itinerary at Philmont. If you've not had a Philmont crew meeting yet, you'd better get moving! By now, you should be electing a crew leader and selecting chaplain, guide, and other crew positions. In February, your crew should be meeting to hear about the various Philmont programs, treks, and guidelines, and to gather program and difficulty preferences from each scout. Using Itinerary Selection Tools from the Boy Scouts, the crew leader and advisor can decide on the top 5 treks that best meet the crew's desires. 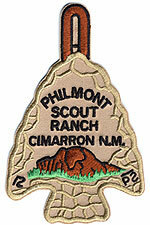 Dreams - Many scouts see Philmont as the pinnacle of their scouting life. Find out what each crew member expects from Philmont - what they've heard, special attractions they can't miss, concerns they have. Since they'll probably only do it once, it would be great to fulfill as many dreams as possible. Experience - A crew of scouts going on their first big backpacking trip might bite off more than they can handle by selecting a higher number trek. Choose a lower number and enjoy the shorter hikes each day. Age - Boys develop muscle as they age. Most sixteen and seventeen year old scouts are physically developed so they can do the strenuous treks, if they're in shape. Fourteen year olds may not have the muscle strength and stamina to take on those hard hikes. Program - All crew members should have input about what program elements their trek will include. Since there are around 40 different program elements, you can't do them all on a single trek. Prioritizing what each scout wants and then finding the trek that contains most of the highly desired elements can take a lot of work. See this Philmont Programs checklist to see which treks include which programs. You could give this Philmont Program Choices list to every scout to gather personal program priorities. There are some very useful trek selection tools at this page. Medical - Every crew has a weakest hiker. That is often an adult, so honestly assess the abilities of everyone in the crew. Review medical forms and use practice hikes to evaluate physical abilities. Choose an easier trek if it better matches your crew. Last day to get an entry in for January's random Boy Scout Trail drawing for three prizes. Hey, it's a lot easier than a Hot Dog Eating contest! All you have to do is type in your email. Go to Scout Contest page to enter. 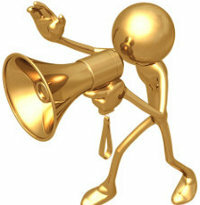 Influence the decision by sharing your opinion with the national Boy Scouts of America leadership. There are three ways you can get your opinion to the BSA folks working towards a decision on the national membership policy. As a member of the organization, in this democratic society, it's your responsibility to participate in the decision-making process. The BSA has set up these avenues for you to get your opinion to them - di it in the next couple days if you want it to count. I always have a bandana along in the wild. I can't think of a more versatile item to have in my pack. It takes little room, weighs nearly nothing, and can be used over and over for many different tasks. Leave a comment if you have more ideas to share! Scout Sunday is sneaking up quick this year. It is the Sunday on or before Feb. 8 and that comes earlier in 2013. If you've not gotten to it yet, you're right down to the last chance to start planning how the Scouts can participate in your church's observance. 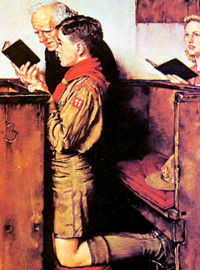 Individual congregations can hold their Scout Sunday on some other date in February if the pastor feels that would better fit their schedule. 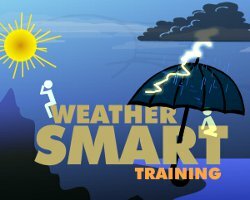 There is a nice set of Resources for a service on scouting.org which might be helpful. Scout Sunday is a great opportunity for your congregation to touch base with the Scouting community. Scouts helping with the service by ushering, reading, or praying are all ways to show the impact of Scouting on the youth of the church. Don, John, and Denise won prizes in the monthly Boy Scout Trail giveaway yesterday. You can enter for this month on my Contest page. Scouting magazine is having a giveaway this month also. 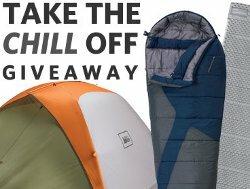 One winner will get a two-person REI Cirque ASL 2 tent, a Kelty Mistral Minus-20 sleeping bag, and a Therm-A-Rest Z Lite Sol sleeping pad. Click this Scouting Contest link to enter. Bookmark the link and enter every day to increase your entries. Two of the slain children were Tiger Cubs in Pack 170. The Connecticut Yankee Council has set up a fund to support their families and your financial contributions, as well as cards and letters, are welcome. Before you contribute to anyone, please check that your support will be legitimately used. See ctyankee.org for the address and instructions for this fund. Doing SOMETHING is better than wondering what to do. Lots of folks say a trip to Philmont is a once in a lifetime trek. Well, I've been there twice and I hope to go again, so that's a bit of a stretch. But, there are some things that really are once in any lifetime. So what? Well, tons of people are having weddings tomorrow and other special events. Other than that, not much will happen. But, it's pretty cool to notice that you were alive on this special date. It's a great time for your gang of scouts to make a time capsule to be opened by the guys 100 years from now. Or, just a scoutmaster minute about how every day is a special gift to be used and not squandered, regardless of how interesting the date is. Hurricane Sandy, and the storm that followed, brought severe damage to people, places, and things across the Northeast Region. In an effort to help, the Leadership Team of the Northeast Region OA has set a goal to raise at least $20,000 that will be awarded to OA Lodges in the Northeast to help complete projects at their council camps to clean up and rebuild after the storm. The NE Region OA Leadership Team would like folks (that's you) to purchase this patch for $10. 100% of the funds raised goes directly towards helping council camps since the OA paid for production of the patches. Just fill out this form and send it with a check for a patch, or a dozen patches. 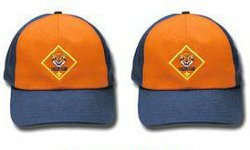 I'm not saying they'd make good Christmas gifts, but presenting them to the newest OA members in your troop at a troop meeting while explaining what they mean might be a pretty good object lesson showing what being in the OA is all about. Hey, it might make a good Scoutmaster Minute. I've sawed trees and fixed up local council camps quite a few times as an OA member. This is a way to virtually do a little arduous labor to help Scouts far away.